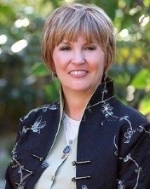 Lea Chapin is an educator, psychotherapist, spiritual counselor and medium. In 1993, Lea began receiving divinely inspired messages from spirit, when her gifts of clairaudience, clairvoyance and clairsentience allowed her access to the truth teachings of the Ascended Masters and the Angelic realms. Today we discuss the book “Divine Union-The Love Story of Jesus & Mary Magdalene”. Not only is this a riveting story that you can hardly put down, but your current understanding of these two exceptional historical figures and the important events surrounding their lives will forever be altered by the stunning spiritual truths they reveal here for the first time! As always, it’s very informative and A LOT of fun with plenty of laughs too!